Update 5: Incident Involving the Containership MOL Comfort - Some of the containers might be lost or damaged during the incident, but majority of the cargo are confirmed to be aboard the fore and aft part. 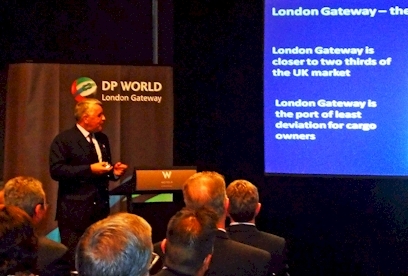 DP World London Gateway Rides the Wave on the Gold Coast - Designed and built to reduce supply chain costs, the London Gateway port will facilitate new routing opportunities between the USA and UK and is integrated with Europe's largest logistics park at 9.25 million sq ft.
Update (No. 3): Incident Involving the Containership MOL Comfort - All crew members were safely rescued when the incident occurred. CMA CGM, Maersk Line and MSC to establish an operational alliance - The P3 Network will provide customers with more stable, frequent and flexible services. 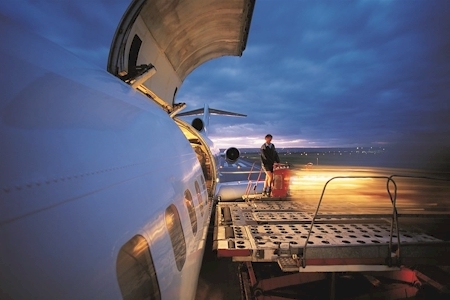 Amerit Fleet Solutions Offers Advice for Alternative-Fuel Fleets - Firsthand knowledge of fleet maintenance and operations gives Amerit Fleet Solutions the tools to help businesses. New Business Win for DP World Southampton - The £150m project, which includes extensive dredging of the marine access to the Port of Southampton, is due to complete next year (2014).